Beginning February 1, the Center for Local History‘s off-site Community Archives, located at the Woodmont Community Center will temporarily close for a renovation project. The project started on Jan. 16, 2018, on the vacant area of the basement level, and is expected to conclude in summer 2018. After the renovation’s completion, the Community Archives will expand into the space. The Community Archives is a repository that houses thousands of archival records for use by researchers on a by-request basis. The archives is not open to the public. Starting February 1, researchers are encouraged to delay requests to use archival materials held at the Community Archives until after the remodeling project is complete. The archival collections will be difficult for staff to access while in storage. However, staff will consider any request to use archival material on a case-by-case basis and will fulfill requests if feasible. The planned renovation includes modification to the basement level (Rooms 4 & 6 and the hallway) and the existing Archival room on the first floor. Work will include removing existing asbestos, modifying the HVAC with humidity control, removing carpet, applying concrete sealer, and repairing and painting walls. 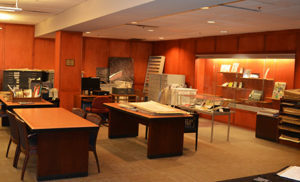 The Center for Local History’s (CLH) Research Room at Central Library will be unaffected and the on-site research materials, and resources at the CLH will remain available. The Community Archives collects and preserves materials that illustrate the history and culture of Arlington. Materials in the Center’s collections are a great resource for teachers, scholars, students, and anyone interested in the County’s rich and vibrant history. To learn more about the Center for Local History, visit the Arlington Public Library. What: Community Archives to temporarily close starting February 1 until mid-April 2018 for upgrades. The Center for Local History’s Research Room at Central Library will remain open.